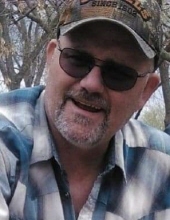 Edward Lienemann of Adel, passed away Monday, March 18, 2019 surrounded by his family. A Celebration of Life service will be held at 11:00am Tuesday, March 26th at Caldwell Parrish Funeral Home – McCalley Chapel in Adel with burial at Iowa Veterans Cemetery near Van Meter. Friends may call after 3pm Monday, March 25th with family greeting friends from 4:00-7:00 pm at Caldwell Parrish Funeral Home – McCalley Chapel in Adel. A Prayer service will follow at 7:00pm. Ed was born June 1, 1964. His parents are Lawrence and Marguerite (Best) Lienemann. Ed graduated from Adel De Soto. On August 3, 1985 Ed was united in marriage to Becky Otto. To this union brought three children. Ed proudly served his country with the United States Army and the Army National Guard. Ed is survived by his loving wife, Becky; children, Nathan (Sarah Pfau), Heidi, and Joe; granddaughters, Jayda Rose and Ember; grandson, Tyler; mother, Marguerite; sister, Julie; brothers-in-law, John (Tonya) Otto and Donald (Bonnie) Otto; and mother-in-law, Donna (Larry) Anderson. He is preceded in death by his father, Lawrence. To send flowers or a remembrance gift to the family of Edward L. Lienemann, please visit our Tribute Store. Friends may call after 3:00 PM with family greeting friends from 4:00-7:00 PM. "Email Address" would like to share the life celebration of Edward L. Lienemann. Click on the "link" to go to share a favorite memory or leave a condolence message for the family.